South America offers the opportunity for a wide variety of adventures along with all types of spectacular scenery. Your journey can be filled with towering mountains, jungles, magnificent beaches, vineyards, icebergs, wildlife and more. To top it off, the fantastic food and hospitality may even rival those amazing vistas. These 24 must-see destinations will give you a good glimpse as to where to start. 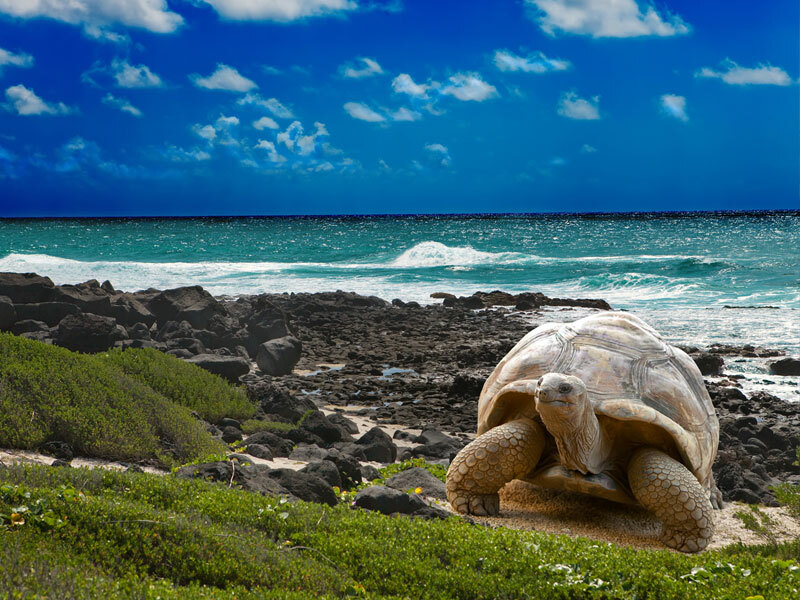 The Galapagos Islands are a one-of-a-kind destination, located roughly 575 miles off the coast of Ecuador. This microcosm of evolution offers some of the best up-close-and-personal wildlife encounters on earth, with the chance to snorkel with sea lions and turtles, stroll across desolate lava fields and watch the mating rituals of blue-footed boobies. This is the ultimate nature lover’s paradise, and perhaps one of the last unspoiled places on the planet where the boundaries of Mother Nature continue to be respected. There is really no other place where you can see such a variety of wildlife in their natural state, unafraid of onlookers. As it’s unlikely to last forever, the islands are a must for any traveler’s list. 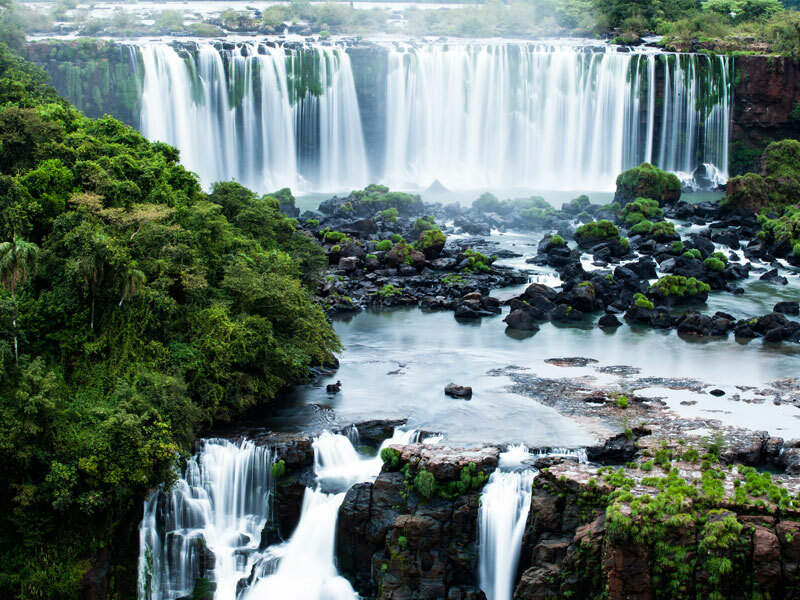 Iguazu Falls, one of the great natural wonders in the world, is one of the most breathtaking sights on earth, featuring more than 250 waterfalls that are surrounded by the tropical jungle of Argentina and Brazil. In comparison, Niagra Falls seems like just the drip of a faucet tap. The Argentine side is the best to visit, as you can get especially up close and personal with the falls, feeling the mist on your skin. Taking the thrilling boat ride will get you even closer, but be prepared to get drenched. You’ll also be amazed at the brightly colored parrots soaring in the skies above and chatter away in nearby trees. 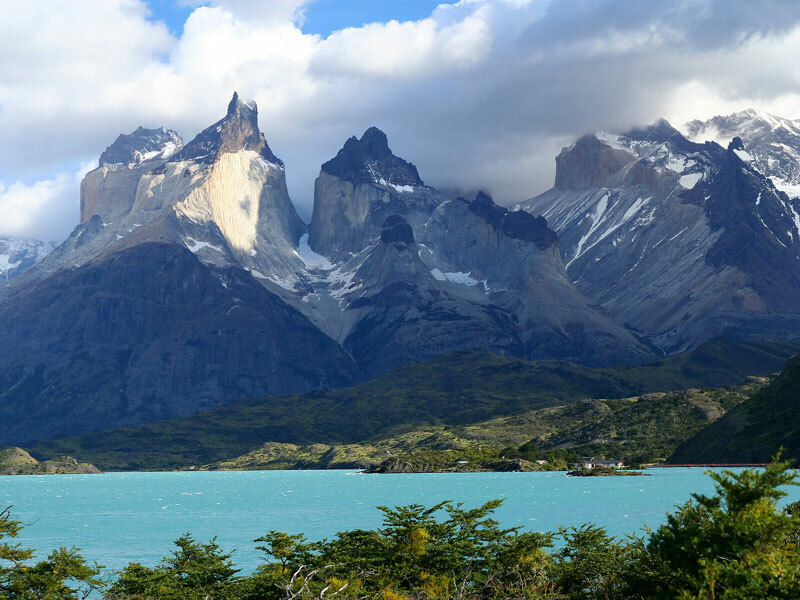 The granite pillars of Torres del Paine, which soar for over 6,500-feet above the Patagonian landscape, dominate the scenery of what’s often been called South America’s finest national park. For those willing to venture to Patagonia, the southernmost region of Chile, you’ll find some of the most astounding hiking opportunities with trails meandering through emerald forests, passing azure lakes, roaring rivers, and even a brilliant, blue glacier. The park is also home to flocks of ostrich-like rhea, Andean condor and flamingo. Guanacos, a relative of the camel, were almost hunted to extinction, but after a decade of effective protection, the large and increasingly growing herds in the area no longer even flinch when a vehicle or human approaches. South America’s largest lake is the home to a number of indigenous communities that offer a fascinating glimpse into the history and culture of Peru. You can’t just go to the lake, you’ll need to get out on the water by boat. Close to shore, it appears rather murky, but the further out you go, the more it becomes a clear, vibrant Mediterranean-like blue. 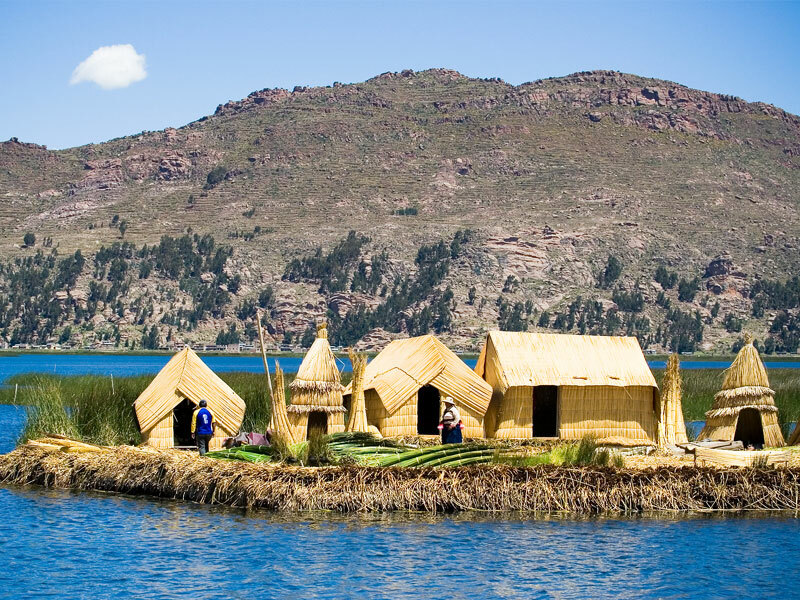 Visiting the floating islands of the Uros people, a cluster of 60 islands, about a 40-minute boat ride from the main port at Puno, you can spend time with the local families whose ancestors have inhabited the islands for decades. Learn how they live, educate their children, share food, cook and maintain the condition of the islands. 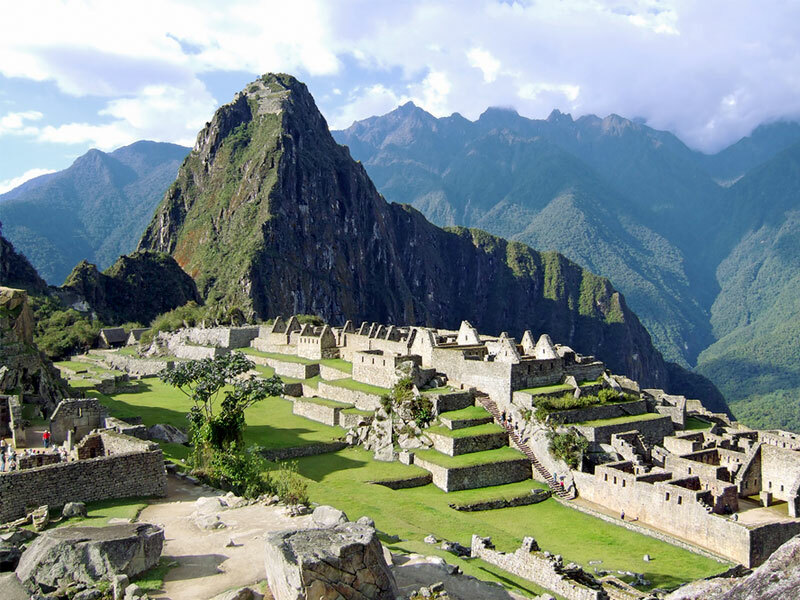 Of course, Machu Picchu is on the top of many travelers’ bucket lists. Hidden high within Peru’s Andes Mountains, this mystical city remained a secret for ages, with its existence only becoming well known after Hiram Bingham’s discovery was published in a 1911 book, Across South America. Today, it’s South America’s best known archaeological site, with much of the Incan architecture and design well-preserved. The site features the almost always mist-shrouded Huayna Picchu Mountain, which rises for nearly 1,000 feet above the stone ruins, terraces and plazas. Some travelers choose a train ride to enjoy the view in comfort, while others choose to walk the Inca Trail for several days with the sight of the ruins as their reward. The Amazon is an enormous region that covers 40 percent of the South American continent, touching many countries, though one of the more popular entryways is in Ecuador’s capital city, Quito. Exploring one of the world’s most unique ecosystems, you’ll have the opportunity to see all types of wildlife, including everything from monkeys, jaguars and brilliant birds to caimans, iguanas and anacondas. There are practically an endless number of tours to choose from. Sacha Lodge, located within a 5000-acre private ecological reserve, offers an accessible yet pristine rainforest sanctuary for enjoying a true jungle adventure in safety and comfort. 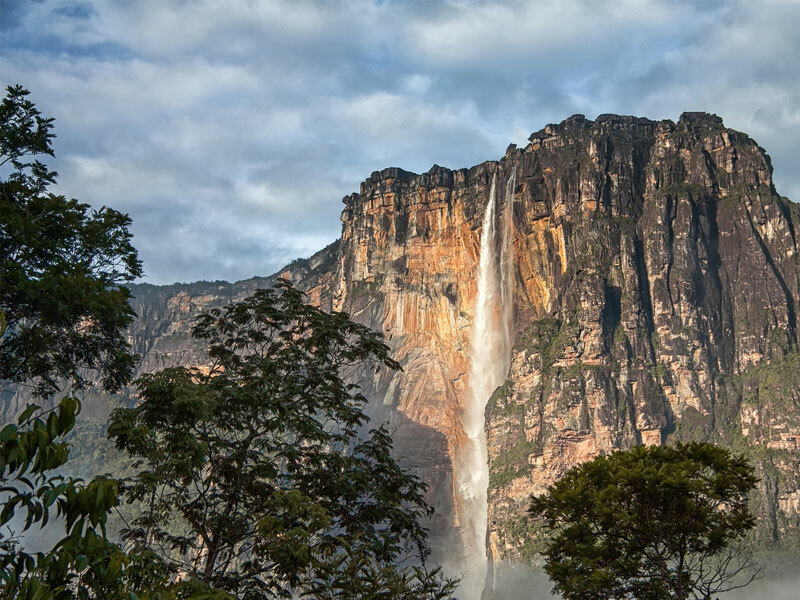 Nestled within Canaima National Park, Angel Falls is the world’s highest waterfall. This astonishing cascade tumbles 3,212 feet – 19 times higher than Niagara Falls, which stands 170 feet at its highest point. Aside from the jaw-dropping scale of the falls, the remote location makes it a much less-visited attraction, located 1000 miles southeast of Venezuela’s capital of Carcas and 160 miles southeast of Ciudad Bolivar. Seeing it requires a boat ride up the Churun River, a flight over the top or a jungle trek through grasslands, rivers and mountains. No matter how you get there, it makes for a fun adventure that is more than worth the reward. 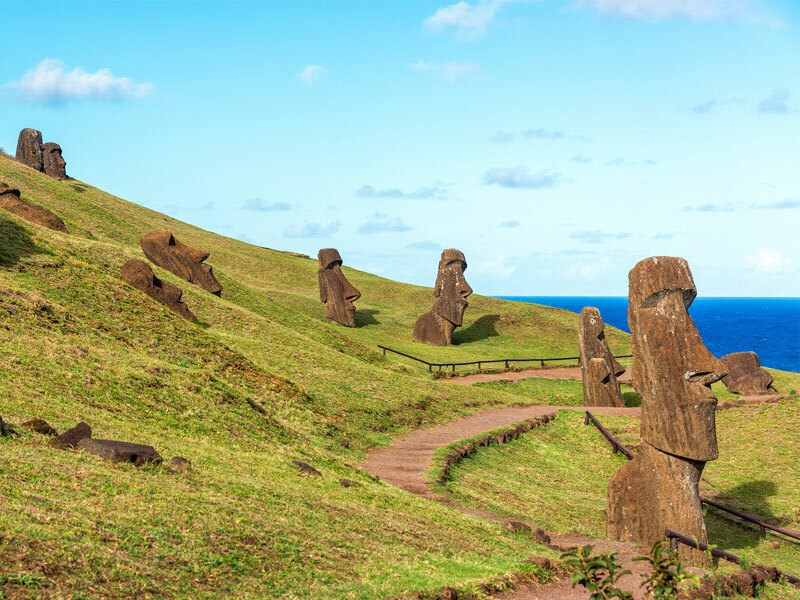 Easter Island is one of the most alluring sacred sites on the planet. While people mostly visit to see the moai, the amazing monolithic statues carved from a single piece of stone that are numbered around 1,000 and scattered throughout the island, this volcanic archipelago in the southeast Pacific is a vibrant center of unique Polynesian culture and extraordinary scenery. Visitors can soak in the sun on two white sand beaches or enjoy surfing, scuba diving and snorkeling after a morning of admiring the moai. 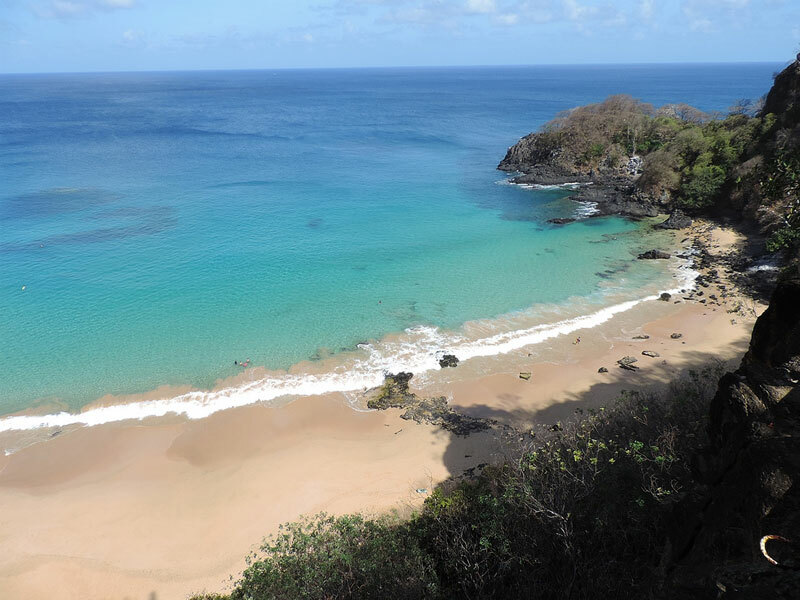 Few people can claim they’ve experienced the unspoiled, magnificent beaches of Fernando de Noronha, an archipelago of 21 islands and islets located off the northeast coast of Brazil. In 1988, the majority of the main island, a 7.1-square-mile island, was declared a marine national park, and now just 420 tourists are allowed at any given time. Those who are lucky enough to visit will find inspiring natural beauty everywhere they look, at land or at sea. 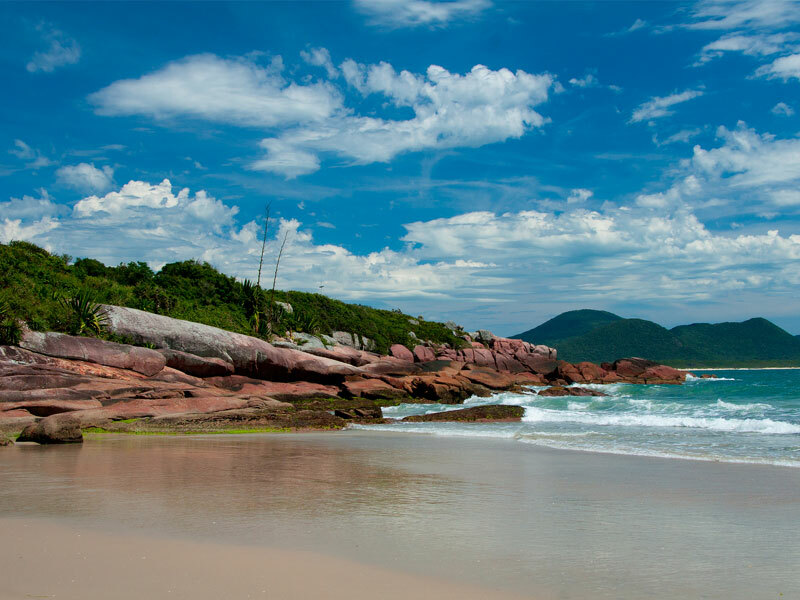 The rugged landscape features soaring rock sculptures, cascading waterfalls and natural pools, while pristine white beaches are nestled beneath jagged cliffs. Divers and snorkelers will find that the crystal blue waters are teeming with colorful fish, turtles, dolphins, lobsters and corals. This small but fascinating city offers a unique destination for those that like to venture off the beaten path. 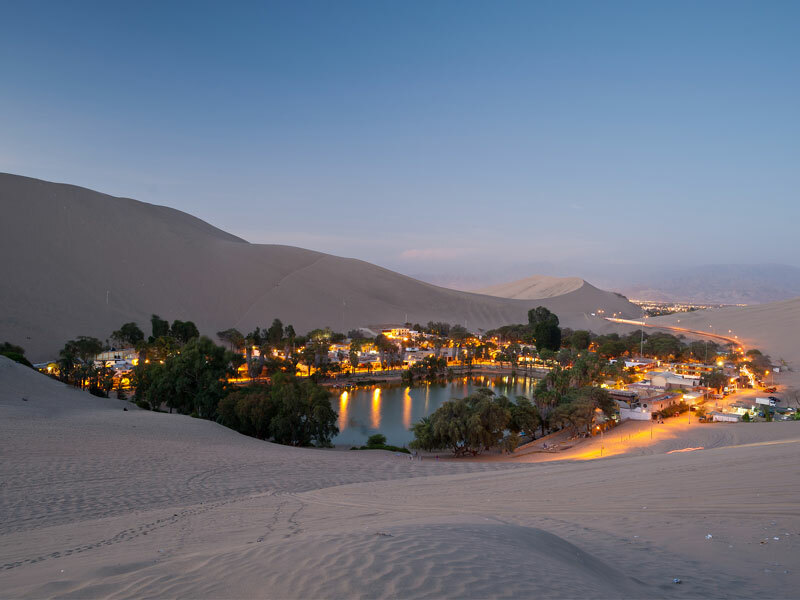 This beautiful oasis in the middle of the dessert is located an hour away from the Pacific Ocean in southern Peru. Built in the 1930s, resorts and restaurants line a turquoise colored lagoon that’s surrounded by massive sand dunes, offering the opportunity to sand board or four-wheel across them in buggies at break neck speeds. For only around $15, depending on your bargaining abilities, you’ll be taken on what feels like a death-defying ride across the huge hills that never seem to end. You might want to peer into the lagoon while you’re there – legend has it that a mermaid lives within its waters. Asuncion is Paraguay’s steamy capital, set on the left bank of the Rio Paraguay. This city is home to less than a half million people – and, 65 percent of its residents are under the age of 30. Tourism is still a rarity, but Asuncion offers enough inexpensive, low-key pleasures to make spending a few days very worthwhile. The majority can be explored by foot, explore downtown and browse the numerous shops and market stalls or stroll the two-mile riverfront walkway, La Costanera. If you’re looking for vibrant nightlife, you’ll definitely find it here – when the sun goes down and temperatures cool, that’s when things really get kicking. This colorful seaside village may not be as popular as Santiago, but with its magnitude of cultural influences, it has lots to offer. 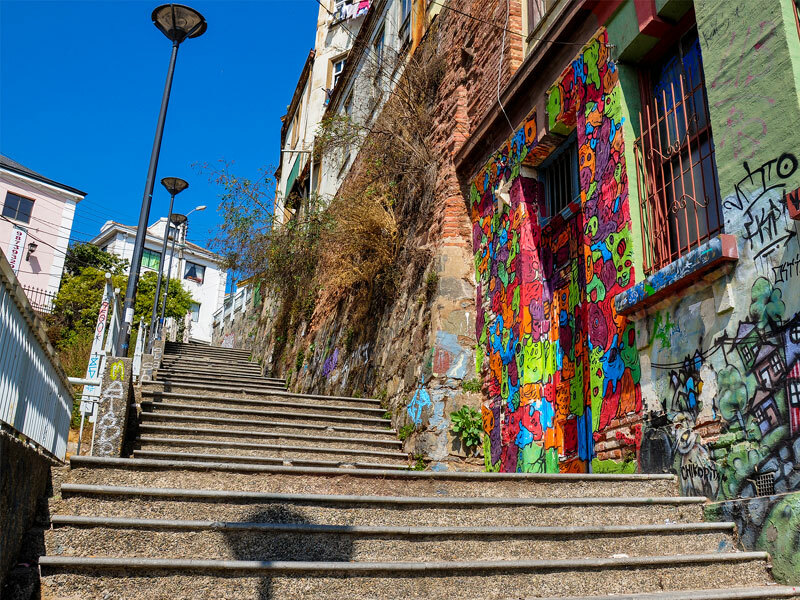 Explore Bohemian neighborhoods, 19th century mansions and the flourishing art scene which includes the gloriously restored landmark Palacio Baburizza, the Museo de Bellas Artes, reopened recently after a 15-year hiatus, showcasing European and Chilean artists. The famous home turned museum of renowned poet Pablo Neruda, the city’s most beloved literary figure and cultural export, is also well-worth a visit. You’ll also find a buzzing nightlife, fine food and fabulous wine – with much of it produced in area vineyards, many of which are open for public tours. While the town it’s located in, Ipiales, offers very little to see or do, it is a place you’ll inevitably end up at when crossing the border between Ecuador and Colombia. 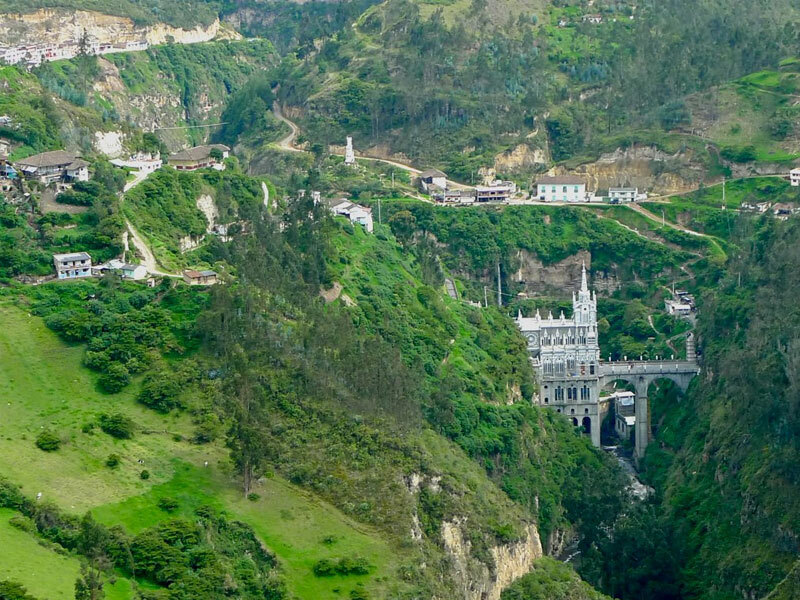 The short side trip to Santuario de Las Lajas is well-worth making. This Neo-Gothic cathedral was built on the bridge that spans the Guaitara River between 1916 and 1944, in such a way that the gorge cliff with the image of the Virgin forms the back wall of the church. 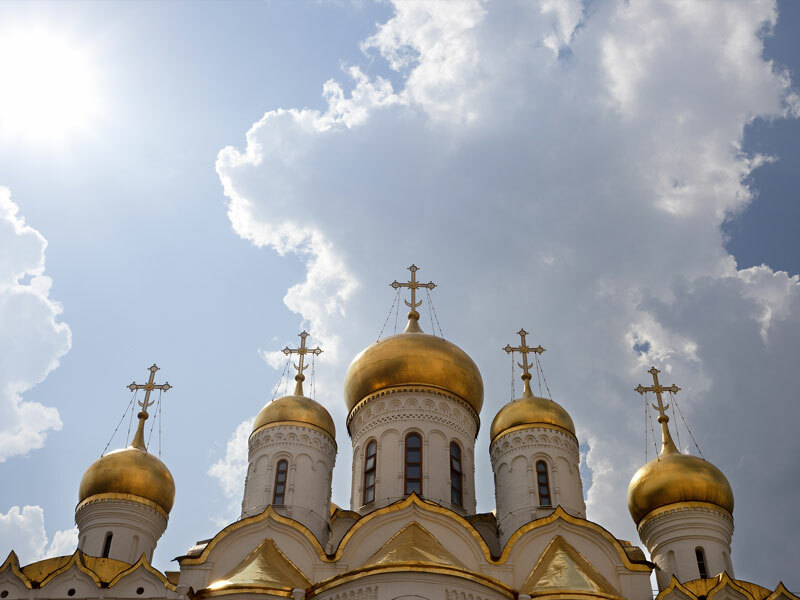 It was constructed to commemorate the appearance of the Virgin, which as legend tells it, appeared on a massive vertical rock roughly 148 feet above the water. Walking down the hill, you’ll notice a multitude of plaques along the wall of the cliff, placed by pilgrims from Colombia and other nations as a thanks for the miracles that have occurred and were credited to the Virgin. Potosi’s history dates back to 1546 when silver deposits were discovered. It remains one of South America’s wealthiest cities due to the silver – the mines of the Cerro Rico are the richest mines in the history of the world, producing 60,000 tons of silver. It’s also one of the highest cities in the world, sitting at an elevation of more than 13,000 feet. If you aren’t claustrophobic, taking a tour of one of the mines, though methods are shocking as things haven’t changed much since the colonial times, is a good way to get a sense of the social price that’s paid for the mineral wealth of a relative very few. In Potosi, you can also visit the world’s largest salt flat. 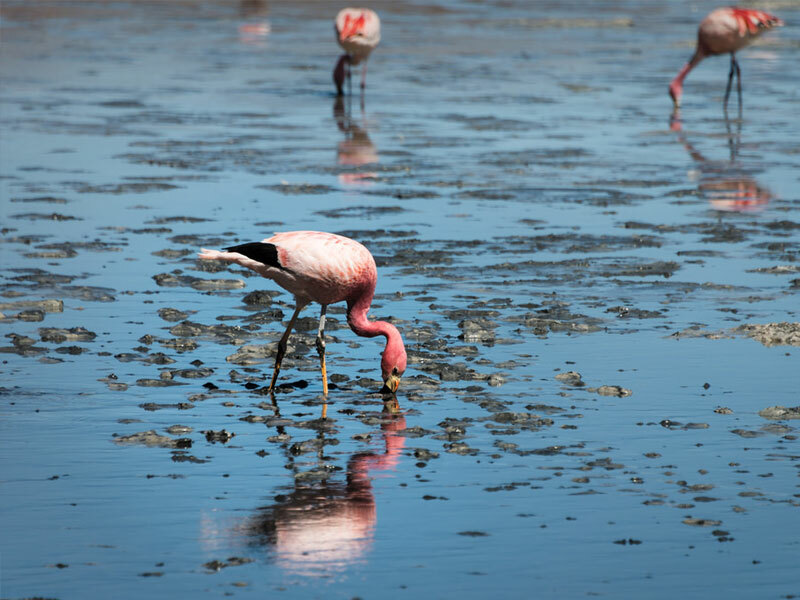 Every November, it’s serves as the breeding grounds for three species of South American flamingos, Chilean, James and Andean. Florianopolis, was dubbed by Brazilian weekly Veja as “The Best Place to Live in Brazil.” Of course, it’s also a great place to visit, with many travelers drawn to this popular destination with its idyllic beaches, outstanding surfing, incredible seafood and a blend of modern architecture with 16th-century colony fortresses, parks and laid-back markets. Some have remarked that it’s a mixture of Ibiza and St.-Tropez, minus the attitude and high prices. It also has a thriving beach party culture, with each beach offering its own personality and unique crowd. Laguna Verde, or Green Lagoon, has a brilliant color that varies from turquoise to dark emerald depending on the disturbance caused to sediments in the lake by winds. The pigments are so strong you can see the color from the sky. Located at the southernmost tip of Bolivia, close to the border with Chile and Argentina, it’s considered one of the country’s most breathtaking landscapes, backed by the dormant 19,555-foot Licancabur volcano. 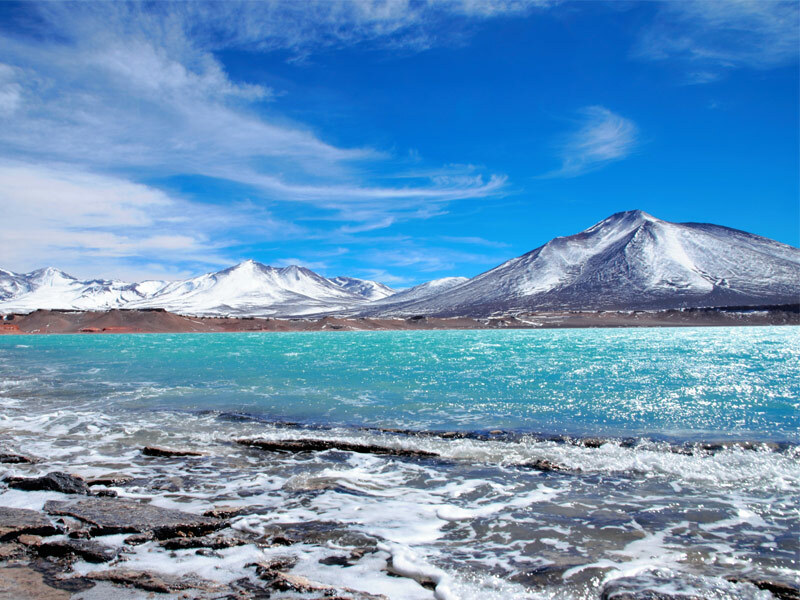 Laguna Verde is one of several striking lakes here, including the Laguna Colorada, filled with fiery red waters and arctic-white shores which are a result of salt and borax deposits – a sharp contrast with the color of the lake’s three species of breeding flamingos. 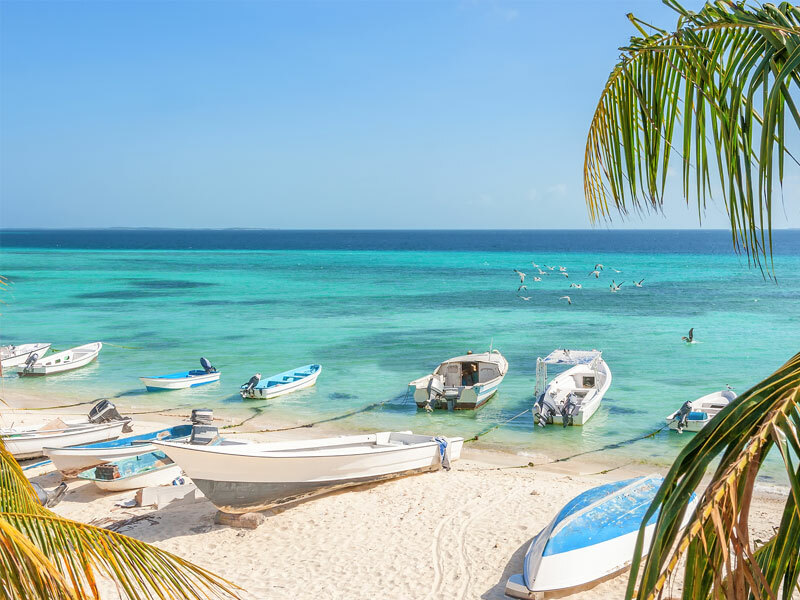 This magnificent archipelago national park in Venezuela, set about 80 miles from Caracas in the Caribbean, is made up of roughly 350 islands, cays and islets that offer nearly endless options for lying on pristine white beaches as well as snorkeling. These practically limitless stretches of perfect sand are surrounded by dazzling clear waters home to 280 species of fish and nearly 100 different bird species. 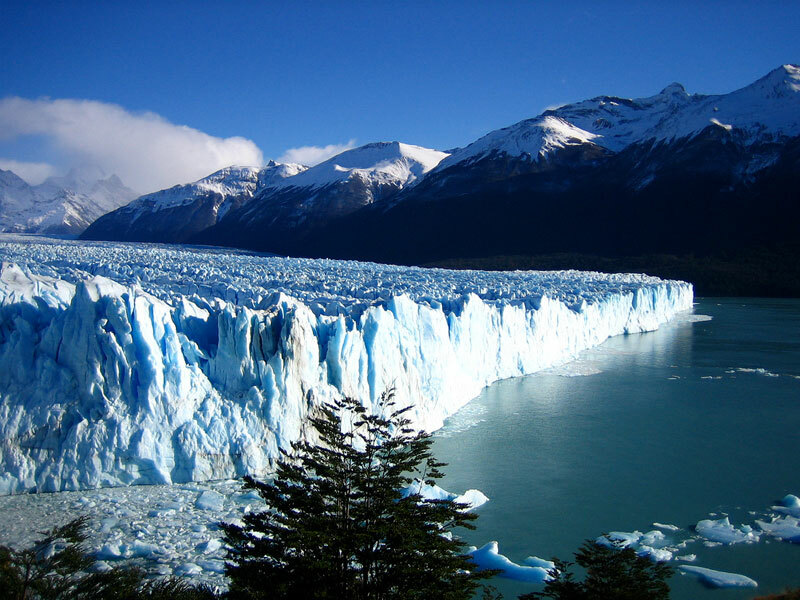 Located in the Los Glaciares National Park in southwest Santa Cruz province, Argentina, Perito Moreno can be found in its southern area. This glacier is the park’s most renowned due to its dynamic changes that produce a cyclic phenomenon of forward and backward movement, with spectacular ice falls from its front walls. By visiting during summertime, between November and early March, you can see the glacier break off in massive pieces as it melts. You can also hike across the ice and enjoy a little whiskey with natural ice cubes. 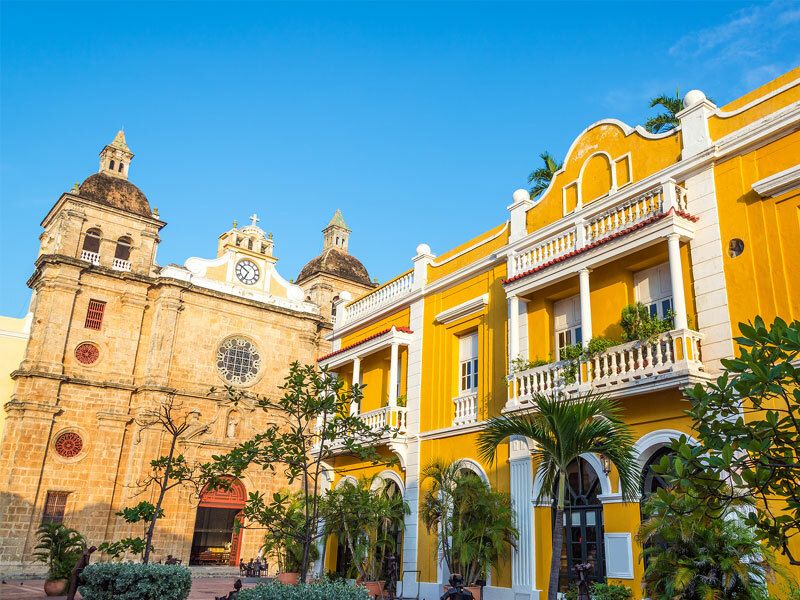 The charming city of Cartagene on Colombia’s northern coast is incredibly romantic, with its narrow cobbled streets and colorful architecture, horse-drawn carriages and glorious cathedrals. Many have marveled at the city’s richhistorical, cultural, architectural and natural wonders over the years. Explore its Old Town which conjures up the vision of New Orleans and Florence, visit old Spanish Forts and spend time on its picturesque beaches. Shopping enthusiasts will be in paradise, as Cartagene is an ideal destination for buying designer clothes, handicrafts and jewelry in its Bocagrande shopping sector in the historical center. 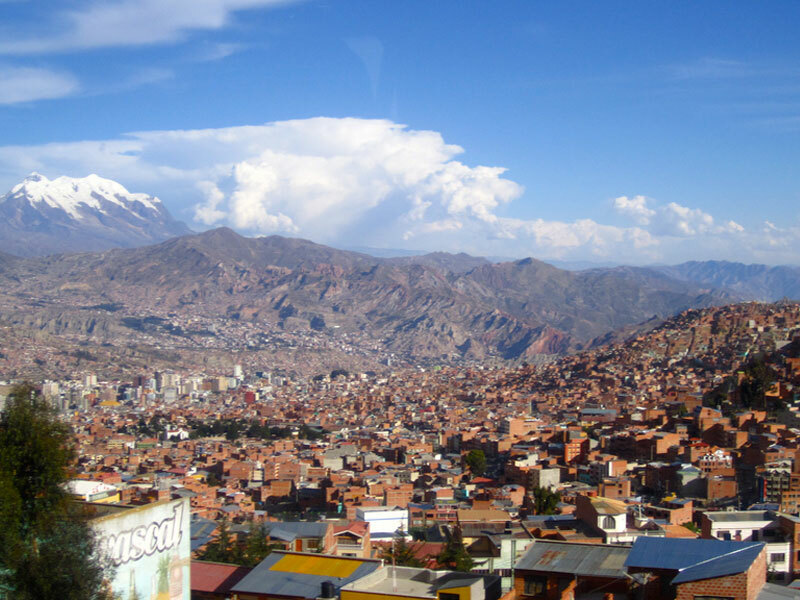 While many travelers skip Bolivia’s largest city, writing it off as a congested, chaotic Latin American metropolis, it’s actually a great place to place to spend a couple of days getting adjusted to life at 10,000 feet, planning adventures to the Andes, the Amazon basin and the Potosi region while sipping coca tea. This city that touches the sky is home to a number of great museums and unique markets, like the Witches Market, with charms and herbs purported to prolong sexual encounters or attract secret crushes. Head to the Museo de Instrumentos Musicales, a school and meeting place for aspiring musicians, where you’ll likely to come upon a jam session of charango players or pan flutists. You can also sample a bevy of street food, although those with sensitive stomachs may not want to partake. If you do, you can eat like a local – and at the same prices, about $1-2 on average. 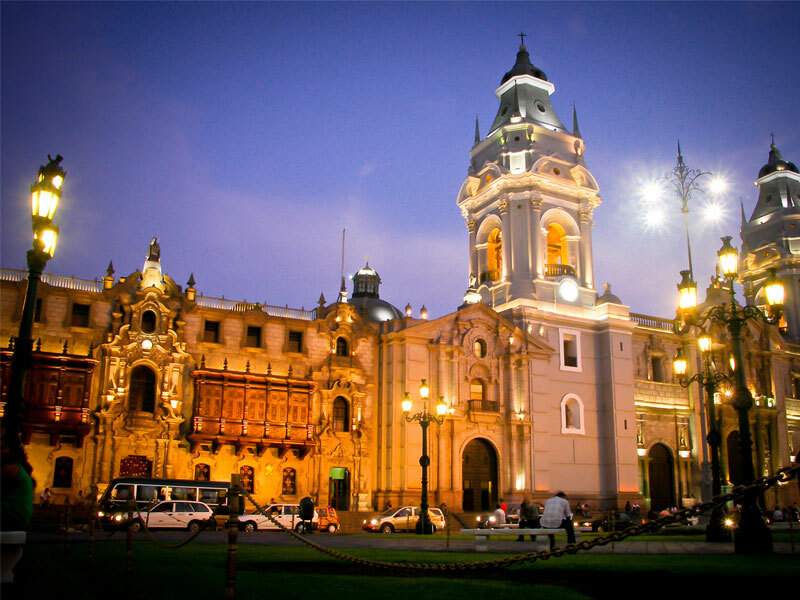 Lima is Peru’s largest city by far, founded by Francisco Pizarro in 1535. It’s a treasure trove of history, filled with ancient Incan archaeological sites, elegant cathedrals and opulent palaces that date from Spanish colonial times. You’ll find an amazing 300 archaeological sites that date back to pre-Columbian times, including the impressive pyramid structure of the Temple of Huallamarca which stands 69 feet tall and dates back to 150-600 AD. The fascinating onsite museum displays many artifacts that were recovered from the temple, including a well-preserved mummy thought to be more than 800 years old. Foodies will be especially pleased, as Lima is true gastronomic heaven. 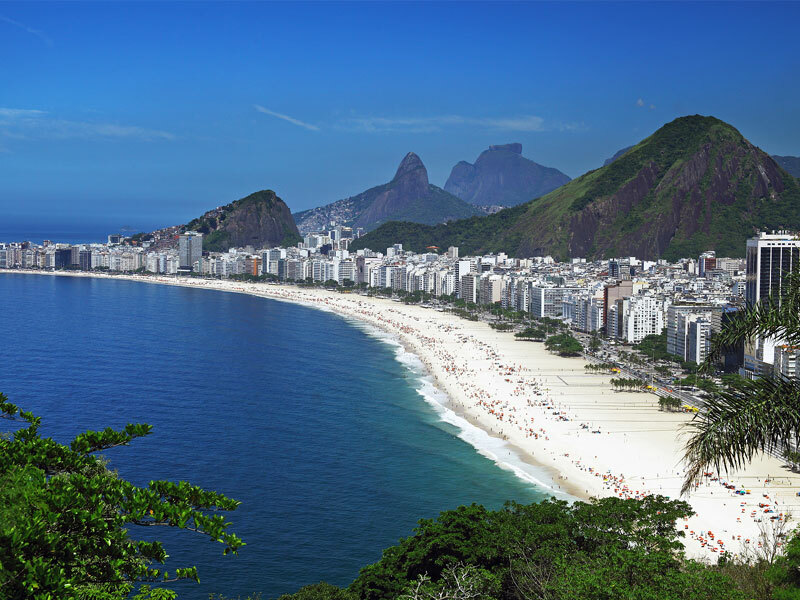 Rio de Janeiro is well-known for its hot beaches, lush countryside and ancient culture. Rio’s most beautiful, fashionable beaches, Ipanema and its extension farther south, Leblon, offer a wealth of different beachside activities as well as being the place to see and be seen. Christ the Redeemer, the largest Art Deco statue in the world, beckons visitors to Corcovado Mountain, while the city’s Carnaval parties are renowned extravaganzas filled with music, dance, feasting and costumed revelry. 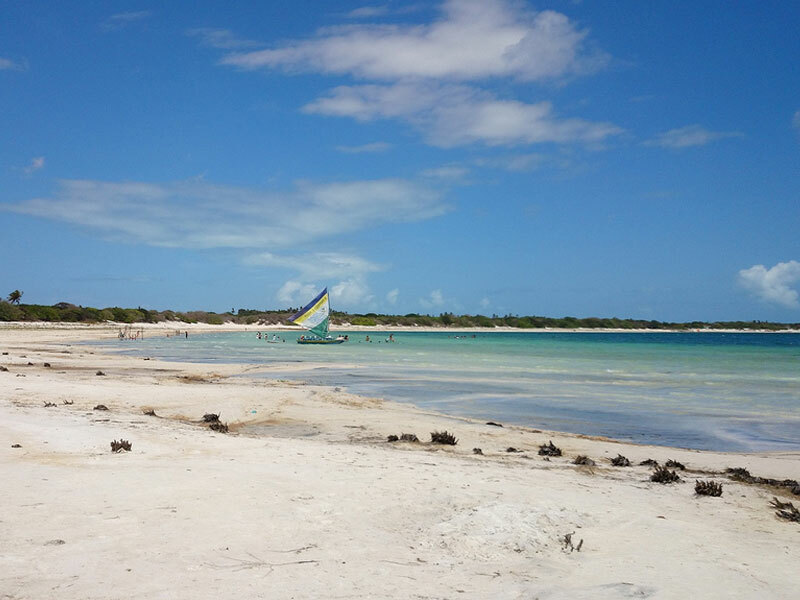 Jericoacoara is not the place to go to if you hope to be spoiled at a mega resort, but if you’d like an unspoiled beach town and don’t mind a semi-harrowing adventure over rough sand roads to get there, you won’t want to miss it. “Jeri,” as it’s often called, mesmerizes travelers with its stunning coastal scenery and remote location. During the rare phenomenon that occurs here, in what’s said to be one of the few places on earth to experience it, the “Emerald Sunset,” you’ll have the chance to watch as the setting sun turns bright green for a brief moment before sliding below the horizon. The small nation of Guyana is often overlooked and vastly underrated, but the lack of infrastructure and a tourist sector makes it ideal for those who prefer off the beaten path destinations. 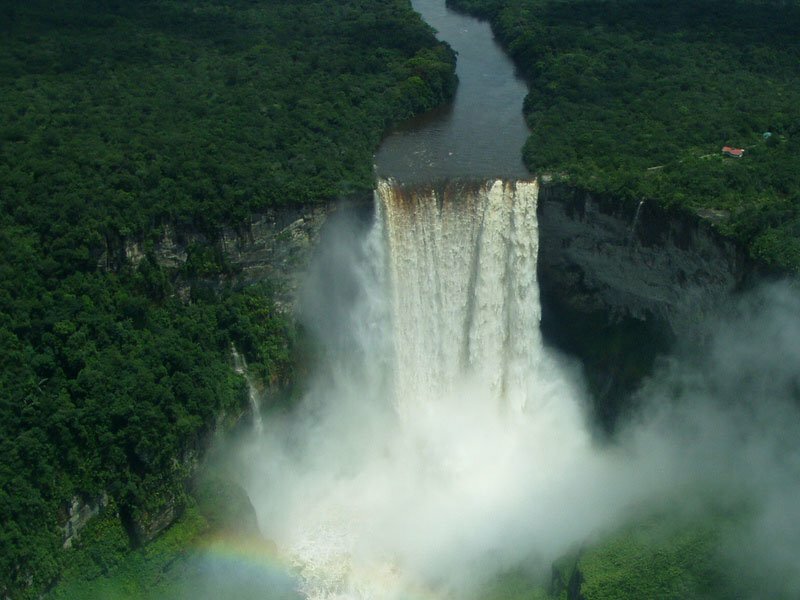 One of its crowning jewels is Kaieteur Falls, an impressive 822-foot high waterfall that’s five times taller than Niagra, and the highest single drop falls on earth, located in the heart of Kaieteur National Park. The park is situated on the Guiana Shield, a plateau known as one of the earth’s oldest and most remote geological formations. 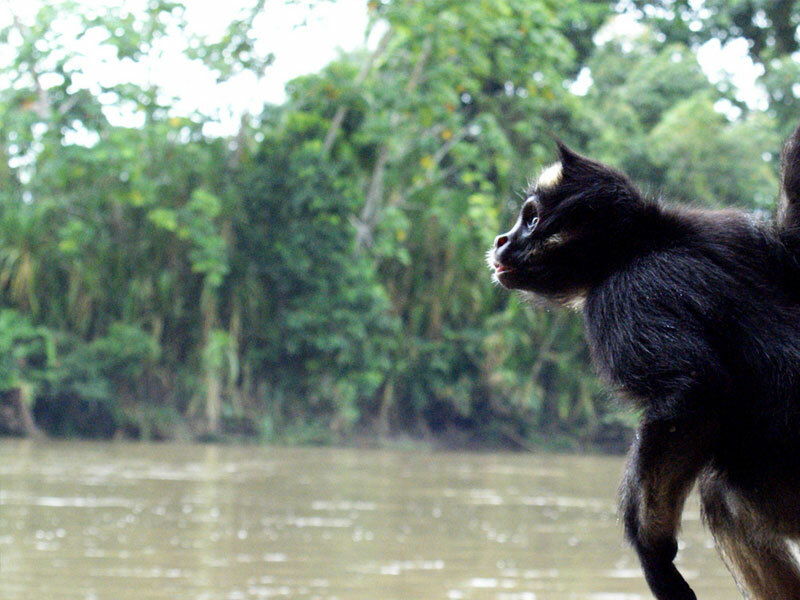 Adventurers can enjoy an unforgettable experience by taking a week-long trek through the Amazon up to the falls.